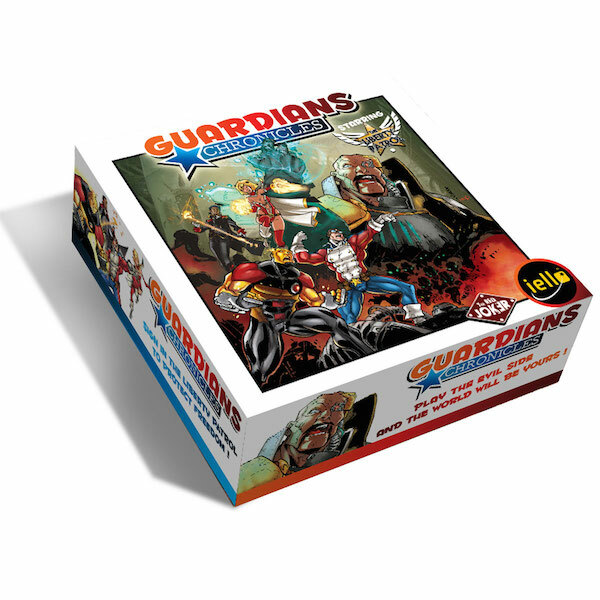 Guardians’ Chronicles is an epic semi-cooperative board game that plays out the story of the conflict between the superheroes of the Liberty Patrol and their archenemy, the evil Doktor Skarov! Work as a team and use your own, unique superpowers to overcome your enemy’s minions as you go further into the villain’s lair. As Doktor Skarov, control your robots and traps to keep the other players from success in each of the scenarios! Watch articles appear on the front page of The Guardians’ Chronicles as both sides get closer to victory, one achievement at a time. Guardians' Chronicles provides an intense, immersive game experience, due to its abundant material (including miniatures of heroes, villains and minions!) and simple yet comprehensive game system. A lot of other tokens!